What Happened to the Great Red Spot? Why did the GRS get lighter and smaller after 1975? and passed the GRS on 9. nov. -75.
has been light red, orange or yellow! 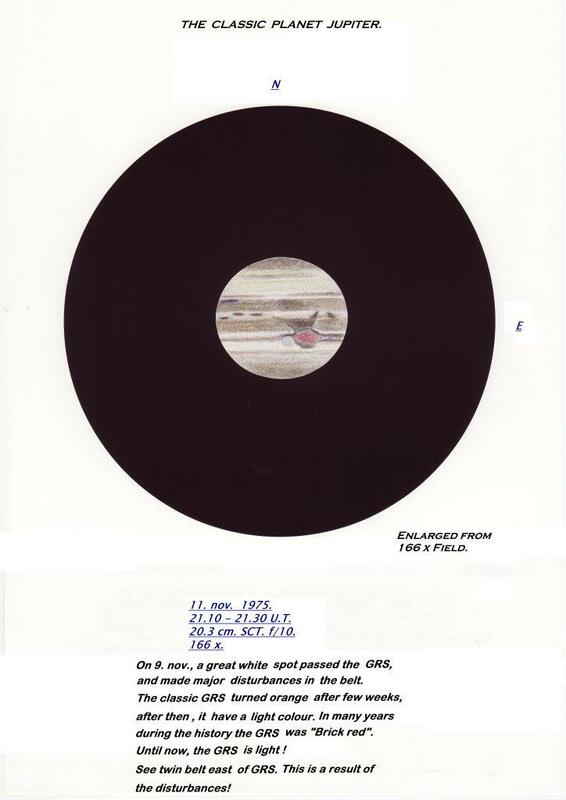 The GRS was very easy to see on the disc of the planet before that! Can anyone tell what happened? I used color – pencils on black paper. I can remember well those doys of the big, oval red spot. Nice sketch from the old days.